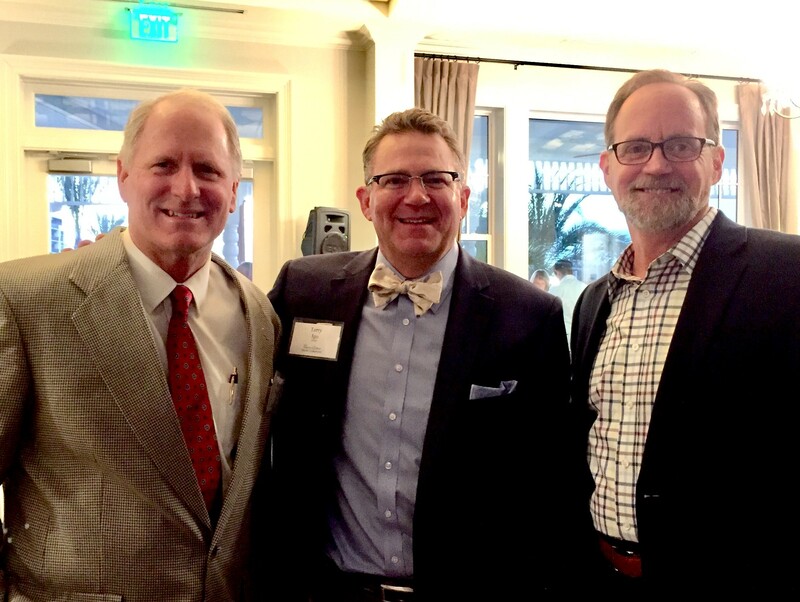 Pictured - Artist Christopher Still (right) poses with CEO, Terence Igo of The Tampa Bay Trust Company (center) and Michael Cheezem, CEO of JMC Communities at The Trust Company’s event featuring Still’s work. Award-winning artist, Christopher Still spoke to a standing room only crowd of Tampa Bay Trust Company guests at the Belleview Inn on Tuesday evening. The event was in celebration of the opening of the Inn and the works Still created to be on display within its walls. The Tampa Bay Trust Company hosted the reception and presentation utilizing every corner of the elegant lobby, verandah and Tiffany Room, proudly featuring the Tiffany glass ceiling found in the original hotel. Still shared a new 30-minute film expounding on the works, the historical property and the long-time families that frequented the resort. “The Belleview Inn is the heart of the original Hotel Belleview, previously positioned only steps away from where the Inn sits today,” explained Still. “Henry Plant envisioned and was responsible for the building of the original hotel in 1897.” The new Inn has held onto the charm and incorporated many of the artifacts, building materials and style of the original, thoughtfully combining all this with contemporary furnishings. “Our guests were thrilled and amazed,” said Harriett Bankston, vice president and Belleair client advocate of The Trust Company. “We were honored to have this opportunity to feature Christopher and his story so soon after the Inn’s opening.” Still’s film was met with a standing ovation by the audience. He also talked about the importance of the town of Belleair and how scholarship funds helped send him to the Florida Gulf Coast Art Center at the edge of the property; an investment that has paid off, as Still is now the sanctioned artist for the State of Florida, amid myriad other accolades and honors.